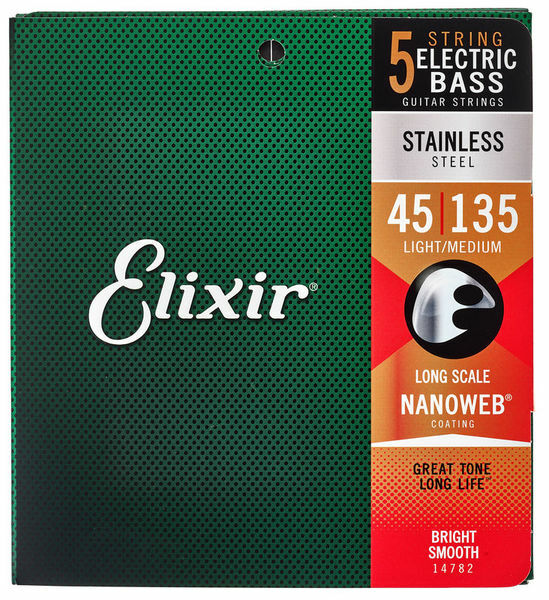 Elixir have really hit the nail on the head here, giving the best of both worlds with these bass strings - great tone, and great durability. Three months in and I still have a crisp tone that overdrives just as well as it did on day one. These are without a double the best bass strings that I've ever used, with the only downside being the price. I initially had these on an old Stagg bass, but I eventually transferred them over to my new Harley Benton. One thing to be weary of when using these strings is the gauge of the B string - some bridges may need extra work to fit strings that size, though I'm sure Elixir have these strings available in other gauges. Pricey strings, but high quality. I used Elixir nanoweb nickel plated steels before, which lasted for one and a half year. So far, these stainless steels play and feel great, even though the B is a little dull. With good care, I expect them to last really long. ID: 363132 © 1996–2019 Thomann GmbH Thomann loves you, because you rock!